I’m not writing about a regulatory analysis of a bank’s strength but the many strains confronting the world economy. 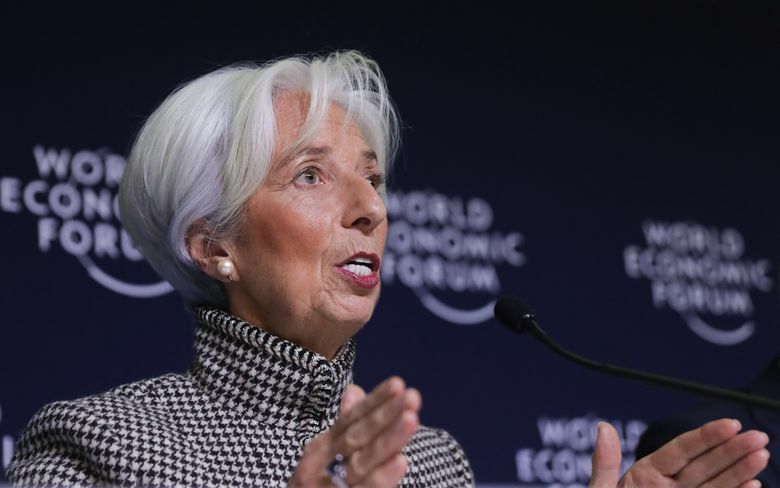 On Monday, the International Monetary Fund cut its global growth forecast, joining the World Bank and others in seeing danger for this year. Also, China’s official data now show its slowest economic growth in three decades last year. Given the unreliability of Chinese information, the situation may be even worse. These events are closely tied to the ongoing trade tensions between the United States and China, with American tariffs and Chinese counter-levies endangering the most important economic relationship in the world. The toe bone’s connected to the foot bone, the foot bone’s connected to the ankle bone, the supply and financial bones are connected globally, and that’s why this threatened trade war is so bone-headed. No wonder stocks fell and a survey of top chief executives showed what Financial Times called “a sharp jump in pessimism compared with their almost universal buoyancy a year ago.” Happy Davos, y’all. But we’re not bystanders here. Washington is the most trade dependent/vulnerable state, and China is our largest export destination. Another element of the stress test is the ongoing government shutdown. As with the tariffs against China (and even our allies), this is a self-inflicted crisis by President Trump. He insists on funding for a physical wall, which the Democratic-controlled House won’t give. Great reality television. Lousy governance. Why? For one thing, this longest government shutdown in history, although “partial,” affects 800,000 federal workers and thousands of private-sector contractors. This paralysis will take a real bite out of the economy — although assessing the damage may be difficult because many government statistical agencies are affected by the shutdown. And let’s not forget the president’s market-rattling threats against the Federal Reserve. Meanwhile, the IMF report also pointed to the potential disruption of Brexit, a slowdown in the EU (especially Germany), slowing capital flows to developing nations, and the rise of populism (which doesn’t play well in the world economy). These may be bumps in the road as the U.S. economy continues growing, reaching the longest expansion in history this summer. The shutdown could end tomorrow. Tensions with China might smooth over (“When all else fails, men turn to reason,” the Israeli statesman Abba Eban said). But these are no ordinary times. We’re going to find how much stress this economy can take.